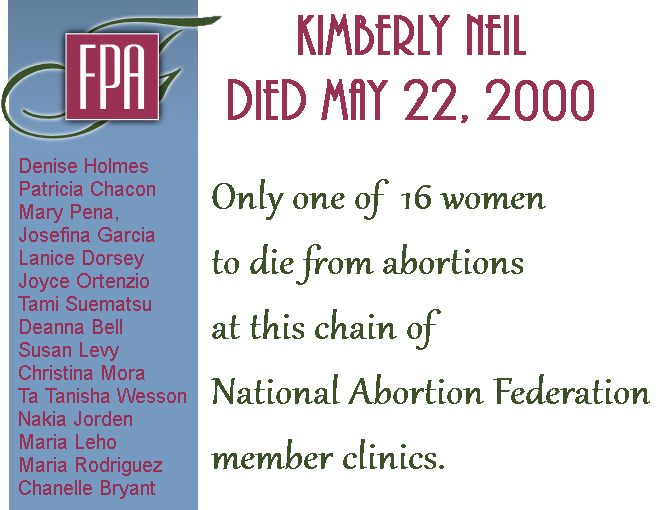 The Fresno Bee reported that Family Planning Associates Medical Group (FPA) and abortionist Kenneth Wright were being sued by the family of Kimberly Neil, who died after Wright performed a safe and legal abortion on her. 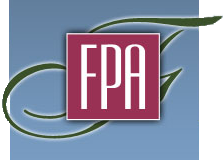 To the best of my knowledge, this makes at least 12 dead abortion patients for FPA. The suite says that FPA staff failed to properly monitor Kimberly, and failed to treat her properly when she stopped breathing during the abortion. 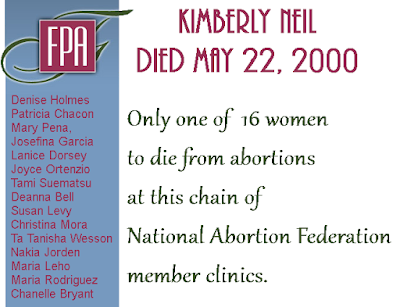 Kimberly died May 22, 2000.